Naughty Dog: The Last of Us "Very, Very, Very, Close" to Going Gold, Status Update Regarding PSN Release "Soon"
With anticipation growing each day as we creep closer to The Last of Us’ launch on June 14th, the watch for just when Naughty Dog is going to officially announce that it has gone gold is just as high. 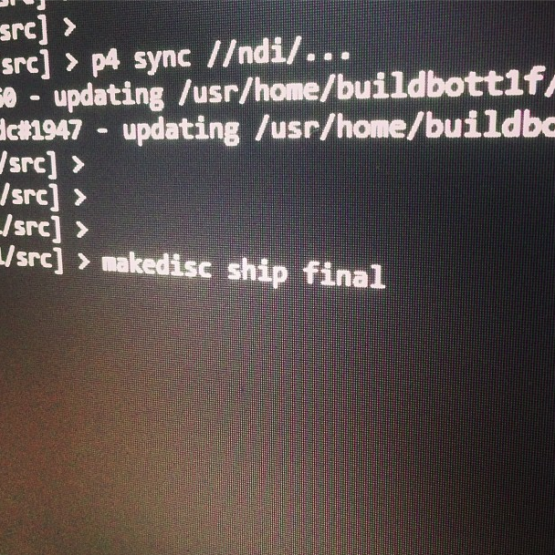 Judging by the “makedisc ship final,” that seems to indicated that the game is 100% complete and is heading out to the manufacturer very soon. When we reached out to Naughty Dog about when the game is going gold, they told us that The Last of Us is “very, very, very, close,” meaning that it is likely happening at some point today. Also, they told us that they’ll have news about the possibility of The Last of Us appearing on the PSN soon. How excited are you for The Last of Us? Let us know in the comments below.